China’s position on Pakistan and India should no longer surprise anyone in India. The China question continues to haunt Indian foreign policy as the Masood Azhar case recently underscored. Last week China once again blocked a move to designate Pakistan-based Jaish-e-Mohammed (JeM) chief Azhar as a global terrorist at the UN Security Council, underlining categorically its foreign policy priorities. While New Delhi expressed “disappointment” at the United Nations Security Council Resolution 1267 Sanctions Committee being unable to come to a decision on the move to sanction Azhar “on account of a member placing the proposal on hold,” Beijing saw no need to reassess its position on the issue. The latest move to designate Azhar a global terrorist was made by France with the backing of the United States and Britain in the wake of the Pulwama attacks that killed 40 Indian security personnel and claimed openly by JeM. This was the fourth time Beijing blocked the move at the UN Sanctions Committee, thereby repeatedly frustrating Indian attempts to bring Azhar to account. Despite Pulwama, China had indicated that it was unlikely to change its position on Azhar. Its foreign ministry spokesperson had suggested before the UNSC move that “China will adopt a responsible attitude and continue to participate in discussions.” The United States had also cautioned China that the failure of the UNSC move to designate Azhar a terrorist, would “run counter” to the shared goal of the two countries of trying to achieve peace and stability in the region. India had managed to get, with some difficulty, the BRICS nations to name Pakistan-based groups like the Lashkar-e- Taiba, Jaish-e-Mohammed and the Haqqani network in a joint declaration condemning terror last year in September. But after its recent block, China maintained that it didn’t contradict its BRICS position as that declaration was against terror groups and not individuals. While some in India read too much into the Wuhan summit between Prime Minister Narendra Modi and Chinese President Xi Jinping, the reality remains that China has had a consistent approach on Azhar. India has also been able to convey to Beijing that it is becoming increasingly isolated in its support for Pakistani terror. The latest move at the UNSC 13 countries co-sponsoring the Proposal against Azhar. Besides the United States, the United Kingdom, and France, which are permanent UNSC members, there were 10 other countries which co-sponsored the proposal – Germany, Poland, Belgium and Equatorial Guinea as well as Japan, Australia, Italy, Bangladesh, Maldives and Bhutan. China’s position on Pakistan and India should no longer surprise anyone in India. Yet they do and many in India still continue to blame New Delhi for these turn of events. There are voices in India which continue to suggest that issues such as Masood Azhar and the Nuclear Suppliers Group are trivial and India should ignore these in the wider interest of maintain stability in its ties with China. 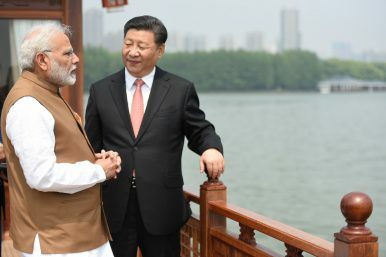 There is no Indian interest significant enough, according to some, which should make India stand up to China and offend Chinese sensitivities, real or imagined. It is this attitude which over the last several decades made sure that India cede ground to China on issue after issue, thereby frittering away all its bargaining power. We would not talk of Taiwan and Tibet, we would not upgrade our military, we would not build robust defense partnership with other like-minded countries – all because our Chinese brethren would get angry. In return China continues to target India and the pattern continues. China’s political, economic and diplomatic investment in Pakistan means that it would be very difficult for India to break that iron bond in the short to medium term. Unless India adopts a clear-eyed long-term China policy, there will be many more setbacks in the offing. India certainly needs to build on its strengths but it should also realize and recognize its friends. As an emerging power, India needs to demand strict reciprocity from Beijing and while engaging China, never lose sight of the larger reality that is shaping Chinese approach towards India. And this is a reality of India’s rise. India should use the G20 Summit at Hangzhou to build better relations with China.